Originally used in the ventilation systems of hospitals and government buildings, UVC lights are becoming increasing common in residential settings. The UVC Max36 is a high efficiency air purifier using a proprietary UV-C (germicidal) lamp to destroy chemical & biological contaminants. This includes mold, viruses and bacteria. Installs inside ductwork or Furnace/AC unit. Easy installation...no wiring required. 5 foot power cord is attached. 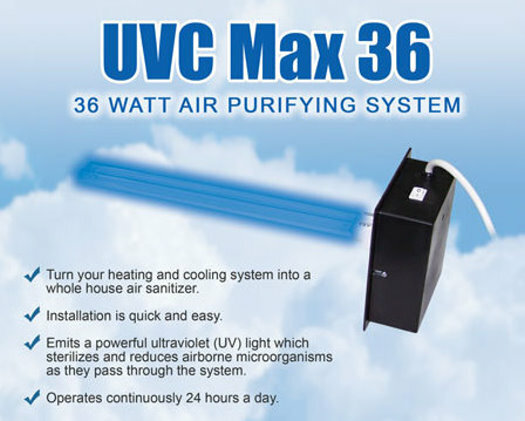 The UVC Max36 is safe and effective in helping to eliminate airborne allergens, bacteria, viruses, mold, fungi, and more. It reduces odors by treating the air/furnace with UV sterilization all day. Very effective against "dirty sock syndrome" when installed at the evaporator coil in the air handler. 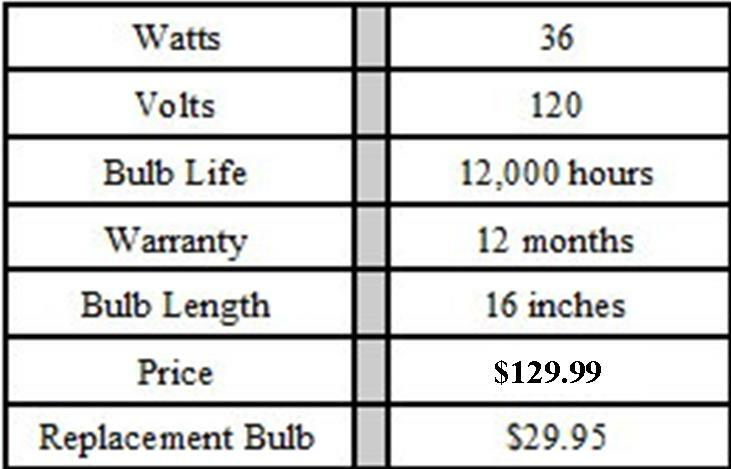 Size (unit without bulb): 6.5" x 2" x 4.5"